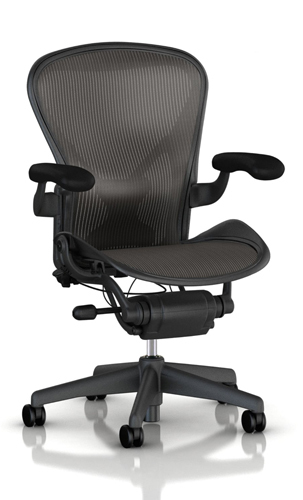 In the following GM Seating Dream Chair review, we examine the pros and cons of owning and using this ergonomically designed office chair for your home office or workspace. 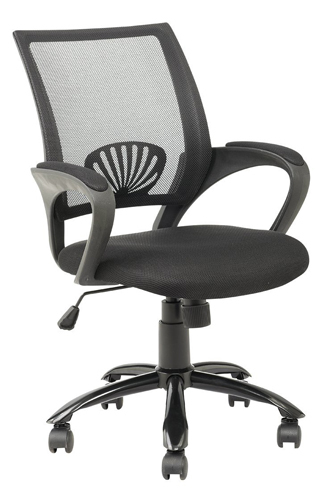 This full-length office chair offers full support for your back, starting with the lumbar area and finishing at the neck support. You can choose between a leather model and a mesh one. This model was specially designed with adjustable parts so more people could use it. You can raise or lower the seat so it will be a good fit your own height. 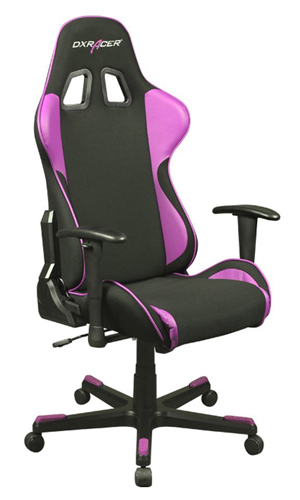 You can also adjust the height of the backrest so the lumbar support will fit exactly on your lumbar area while sitting. Not only can the headrest be adjusted, but you can also change the angle of the headrest back and forward, so it will provide comfortable neck support throughout the day. This chair’s armrests are fully adjustable. You can adjust their height, angle, and you can also push forward or backward to suit your needs. This will allow you to move your arms freely while still having a good support. You can adjust the armrest to support your arms while you’re writing or typing, but you can also adjust them to support your arms while you use another device, like a mobile phone or a tablet. 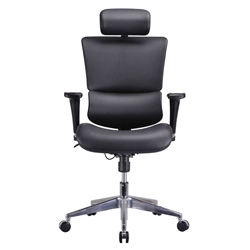 The chair has a very professional and distinguished look, inspiring confidence to your clients and coworkers while providing the right amount of back support to make your workday comfortable from start to end. This chair is very easy to assemble, and it shouldn’t take you more than 15 – 20 minutes to assemble it, from the moment you open the box until you’re seating comfortably in it. The user manual offers clear and easy to follow instructions, so the assembly process shouldn’t be a problem for anyone. You can choose between a mesh or a leather back. While some people might argue that leather looks better, the mesh makes the chair look more modern and it also allows your back to breathe, minimizing the discomfort in the warm months. The chair is 97-percent made out of recyclable components, so it’s an environmentally friendly seating option for your home office or workspace. The fully adjustable arms will provide sufficient support no matter how you like to hold your hands. Some people like to keep their arms right next to their body, while others like to hold them further away. The good thing about this feature is that you can set the arms as you like them, so you will have proper arm support at all times. The height of the back and that of the seat can be adjusted so you can be sure that the lumbar support will always be placed where it should. 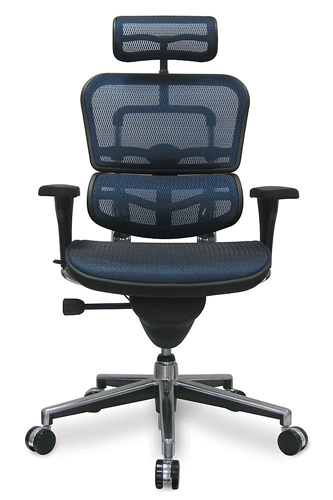 The lumbar support is firm enough to ensure you hold a good posture throughout the day without even thinking it. This chair can be tilted backward, and you can lock in the tilt to maintain the position. Adjusting the armrests according to the new position will allow you to be comfortable and work no matter how far backward the chair is tilted. This high-end chair has been developed to be adjusted just as the user/owner likes it. It can be a great choice for people who work from home, but it is also a good choice for companies who have more than one employee using the same chair. The chair has a nice and modern look, it can be adjusted to fit anyone weighing up to 250 pounds, and it provides good back support. The adjustable arms will provide sufficient support so you can change between sitting positions throughout the day while still being able to work at your desk without any discomfort. The seat, back, and headrest can be adjusted to your liking. The chair has a professional, cool, and modern look which will fit great into most decors. 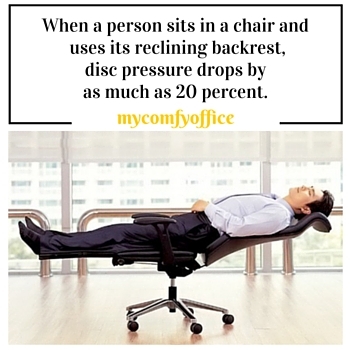 The curvature of the lumbar support cannot be adjusted, so some people won’t find this office chair very comfortable. The chair is heavy, so it will be difficult to lift it over doorstops or stairs. The chair’s controls are not very intuitive, so you’ll have to check the instructions manual often until you get used to them. 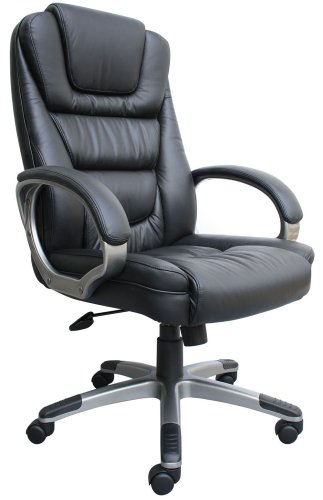 This GM Seating Dream Chair review gives you a true insight of how comfortable and effective this chair really is. Most of its parts are fully adjustable, so it will be able to provide a comfortable experience for most people. The modern design makes the chair look great in both mesh or leather. While the leather will give it a more classical look, the mesh fabric will allow your back to breathe.